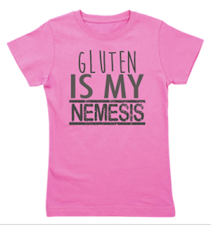 Baking gluten-free and vegan translates to one simple truth that is hard to teach. Because it can only be learned by experience. This one simple truth? Unlearn everything you think you know- or thought you understood- about baking. All those mandatory Home Economics classes about kneading bread dough for ten minutes to improve elasticity or leavening a cake with beaten egg whites won't help your inner Betty Crocker to bloom if you're gluten-free and vegan. In fact, clinging to old notions about what works- and what doesn't- might lead you down a rather prickly circuitous path to ruin. Not to mention, your personal Culinary Museum of Failure. But don't let this bare bones truth inhibit you. In fact, let it free you. Embrace your unlearning. Cast your tightly gripped assumptions about butter and cream and spelt and yolks out the kitchen screen door. Give them a boot. Wish them Vaya con Dios, because Kansas, Dorothy, is going bye bye. Welcome to Oz. Some gluten-free folks bake vegan for ethical reasons- they don't eat anything with a face. 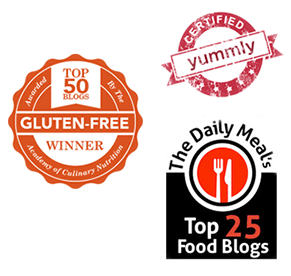 Others are dairy-free or egg-free due to additional food allergies (common among celiacs and those on the neuro-diverse autism spectrum). My philosophy is that a treat should taste like a treat- especially if you bake with a limited palate. For sweetening I use organic golden brown sugar. I don't pretend my Buckwheat Chocolate Chip Cookie is health food. It's a cookie. If you need to balance your diet, make a soup chock full of seasonal veggies. Eat a crisp green salad topped with hemp or salba seeds. 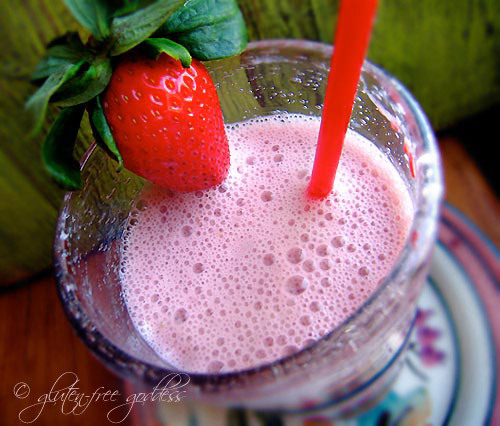 Whip up a fruit smoothie with rice protein powder. And if you crave a cookie, then go enjoy a cookie. Take a walk. Stretch. Breathe. A little sugar is not going to hurt you- unless you need to eat low glycemic; the choice then, is to use organic raw agave nectar (basically, fructose, which is metabolized by the liver and impacts blood sugar with less of a bang). But- and you suspected there was a but, right?- too much agave, like too much sugar, isn't necessarily a "healthier choice", either. Fructose- in any form- is still sugar, and should be enjoyed in moderation. In the spirit of moderation, I follow two approaches- a traditional Mediterranean Diet approach to cooking that emphasizes extra virgin olive oil as the main fat (I use olive oil in place of butter as an Italian inspired bread dip, drizzled on baked potatoes, and whisked in salad dressings), plenty of fresh vegetables, gluten-free whole grains, and garlic with herbs. In cooking I use a higher smoke point avocado oil. The second approach I favor is a fusion of Asian and California vegan cooking that features fresh stir-fries, rice, and rice noodles, Thai-inspired sauces with coconut milk, salads, seaweed, non-GMO organic tofu, soaked nuts and vegetarian sushi. For shortening in baking I use raw organic coconut oil, or sometimes Spectrum Organic Shortening made from palm oil. If you can use one of the organic non-trans fat vegan margarine spreads on the market, they should work in my recipes as long as the blend is suitable for baking (some light blends contain too much water for use in baking or cooking). I'm starting to experiment with more nut flours and coconut flour in baking. If you'd like to add a nut flour to your g-free flour mix, feel free to replace 1/4 to 1/2 cup of one of the higher protein flours I use (such as quinoa or buckwheat) with nut meal or coconut flour. Note: nut meals create a chewier texture; and coconut flour absorbs liquid, so use less liquid with coconut flour, or the result will be heavy. A blend of at least two gluten-free flours is best. Add a little starch or two to help the heavier g-free flours rise and stretch. In summer heat and humidity keep flours stored in the fridge (bean and brown rice flours especially can spoil quickly). Add some flaxseed meal for fiber. In gluten-free baking, xanthan gum helps add viscosity and stretchy give to batters and doughs. Some folks are highly suspicious of xanthan gum, a mold derived additive grown on cellulose (usually corn), but to me, xanthan isn't all that scary; it is odorless and tasteless (if it isn't, you've got a bad batch). It doesn't come cheap; but a bag will last you for months; store it in the fridge. For those who can handle legumes, guar gum is a cheaper, similar binding product made from guar beans. Note: those with sensitive digestion may react to guar gum (some report it works as a laxative). For those of you baking gum-free, one alternative is to add a tablespoon of arrowroot starch to your basic g-free flour mix. It doesn't exactly replicate the viscosity that xanthan gum gives dough and batters, but. Hey. It helps. Flax seed gel helps a bit, as well. For most egg-free recipes, I use powdered Ener-G Egg Replacer mixed with warm water. 1 tablespoon powdered replacer whisked with 4 tablespoons warm water equals 2 eggs. This works in cakes, cookies, muffins, and breads. It does not replace eggs in a custard based recipe, unfortunately. If avoiding corn or potato starch, substitute 1 tablespoon tapioca starch or arrowroot starch plus 3 tablespoons water for each egg called for in recipe to help binding. You will need to increase leavening a bit to compensate; add 1/4 teaspoon baking powder. Flax seed is a choice (for those not allergic to flax seeds). Use two tablespoons ground flax meal plus 1/8 teaspoon baking powder blended with 3 tablespoons of water for each egg called for in recipe. Chia seeds can also- theoretically- be used as a gel for gluten-free baking. From the genus Salvia hispanica, chia is a plant in the Mint family- an excellent alternative for those of us allergic to flax seed.Just be careful it doesn't make the batter too gummy. Bake thoroughly. Banana: Try a half mashed ripe banana plus 1/4 teaspoon baking powder for each egg. Mayo: Use 3 tablespoons vegan mayonnaise in place of one egg, for binding. I would add a little extra leavening- 1/4 teaspoon baking powder. Tofu: Try using 1/4 cup silken tofu for one egg for binding; I would add a little extra leavening- 1/4 teaspoon baking powder. This is the easiest part of vegan baking. Use your favorite non-dairy milk alternative in place of milk. To create a sour buttermilk taste, add a 1/2 teaspoon of fresh lemon juice or light tasting vinegar to the non-dairy milk. Or add a tablespoon of Vegenaise. You can also use juice- in an apple cake or muffin, try apple juice or cider. In cakes and scones try orange juice, pineapple juice, or pear juice. For replacing yogurt, any g-free non-dairy yogurt should work. As mentioned above in the introduction, I use light olive oil or organic coconut oil in baking and it works like a charm (as well as being good for you). Start with LESS oil than the butter called for. At least 1 to 3 tablespoons less. Other choices include Spectrum Organic Shortening (you can sub one to one for butter), or grapeseed oil, canola and safflower oil (use less than the amount of butter called for). Fruit puree can also work as a fat sub, but some tinkering may be necessary. Start with only subbing half the fat and go slow. Mix up the batter and make sure it's not too heavy. Applesauce, pumpkin, squash and sweet potato puree can all add low fat body to batters and breads. You may have to compensate for the added flavor- use extra spice (ginger, cinnamon) or more vanilla extract. 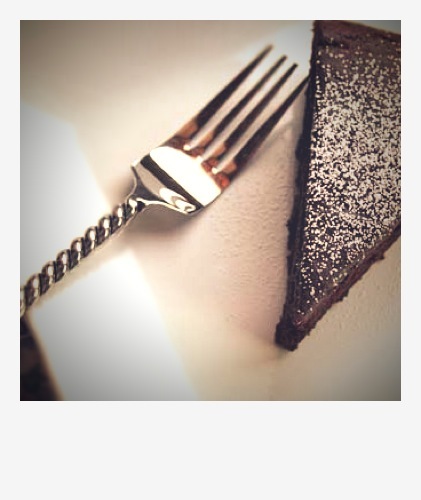 Choose your pairings for compatibility- stronger tastes like sweet potato go better with deeper flavors like molasses, ginger and pie spices, for instance. Freeze it. If you're not eating all of it, it's best to slice, wrap in foil, bag, and freeze it. Even cookies. It seems like a pain to do this for simple things like cookies and brownies, but it's worth the effort. It will keep your goodies fresh. And one advantage is you'll have a store of ready-to-go treats on hand. Too much liquid and not enough structure (sugar is structure, if you lessen it or replace it with agave, your batter may be too wet or too gummy), or too much leavening (it rose too fast then collapsed). Try using less liquid. The oven temperature was too high or too low (every oven has its own personality). Test your oven with an oven thermometer - you might be surprised. The pan was too small. If there is too much batter in a pan, the middle is thicker and takes longer to bake. The pan was too big. A larger pan than called for results in a thinner, flatter end result. You used frozen fruit and the batter got cold. Or you chill your flours or liquid ingredients; next time bring all ingredients to room temperature; use hot liquid. Or mix your batter and let it sit for ten minutes. Batters should resemble slightly thicker, stickier versions of their wheat based counterparts. If a batter is too thin, add more g-free flour (not starch). If a batter is too thick add a tablespoon of warm water at a time until it reaches the right consistency. How will you know it when you see it? After baking awhile, you will develop an intuition about batters, and how they behave in your oven, at your altitude, season, and weather. Gluten-free vegan batters are a tad different than wheat and white flour batters. They are stiffer at first, then stretch and get sticky as the xanthan gum and egg replacer do their thing. If the batter "climbs" the beaters, slow down the speed and slightly lift the beaters to encourage the batter to move back down into the bowl. Move your beater around the bowl in figure eights, at a slight angle. 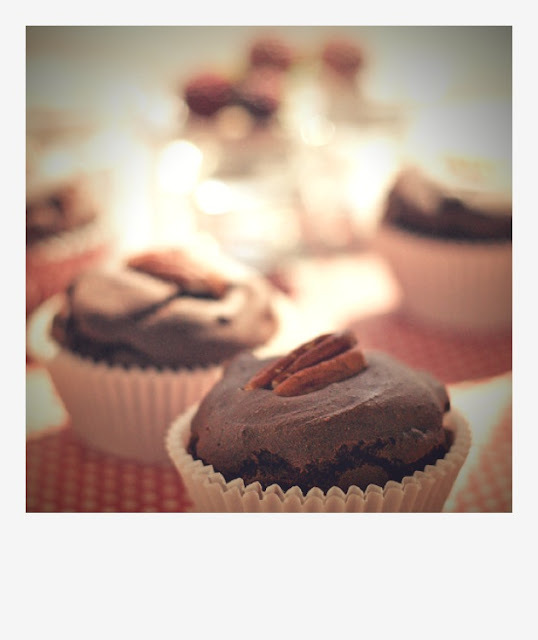 Practice your technique- soon you'll be winging around gluten-free vegan baking like a pro. Yeasted g-free bread dough (and pizza dough) is less like traditional dough and more resembles a thick cake batter; you spread it with wet hands or spatula. If it's too thick, I find the loaf turns out too dense. Check the consistency while mixing and adjust the wet to dry ratio if you need to. Weather and humidity can influence dough; I find I need to tweak dough from time to time- adding an extra tablespoon of warm water if it's too thick, or a tablespoon of sorghum flour if it's too thin- like a thin cake batter. It needs to be more like thick cake or muffin batter. If the weather is very humid, use less honey or agave- they are both humectant and attract moisture. Use less liquid as well- too much liquid makes a loaf gummy or sunken. Use metal pans for baking. I use (Chicago Metallic). If you use glass baking pans, read the manufacturer's guidelines for glass pans; you may need to alter oven temperature by lowering it 25 degrees F.
I don't care for silicone baking pans. I'm not sure gluten-free flours do either. Trouble: The cake, bread, cookie, muffin wasn't done in the center; or it was gummy in the center. Check the cake, bread etc before removing it from the oven. If the center of a cake, muffin or bread is soft, wiggly or depressed, bake it longer until it is firm to a light touch. Don't be afraid to bake it for another ten minutes or more if it needs it. Test with a wooden pick. It should be clean when it's done. Note that every oven is slightly different, and your oven temperature may be hotter or cooler than mine; adjust the baking times to your oven. If you consistently need 5 extra minutes baking time, expect that. Or if you seem to need less, check for doneness sooner. High altitude baking needs longer baking times. Some egg-free recipes, such as brownies, are really tough to bake at high altitude. You might try increasing oven temperature by 25 degrees F.
Your pan might be too large, or the batter too wet. Using seed gels for an egg replacer can produce a gummy center. Even hemp seed "milk" might do this. Too much fruit puree, frozen fruit, or too much liquid can all produce a gummy center. I find that agave increases moisture in a recipe- like honey, it's a humectant. If the center is gummy, cut back on the agave- especially if it's humid. Measure the dry ingredients with dry nested cups - not glass liquid measuring cups. Measure wet ingredients in glass measuring cups for liquid- not dry nested cups (there is a difference in volume!). Spoon or pour dry ingredients into dry measuring cups and level off- do not scoop the cup into the flour bag. Make sure your ingredients are room temperature. Let your batter or dough rest after mixed. Gluten-free flours often benefit from a little extra batter time. Let the batter sit in the baking pan ten minutes before baking it. If cookies spread too rapidly, chill dough for an hour first. Try using a silicone baking sheet liner . Try using a dark metal cookie sheet. Weather affects ingredients. Flours can absorb humidity. Storing them in the fridge also adds dampness. You may need to use less liquid on rainy or humid days. Start with two tablespoons less. For more baking tips on substitutions see this extensive post on G-Free Baking + Cooking for Food Allergies. The Vegan Baking Cheat Sheet is © 2009-2016 Gluten-Free Goddess. All rights reserved.